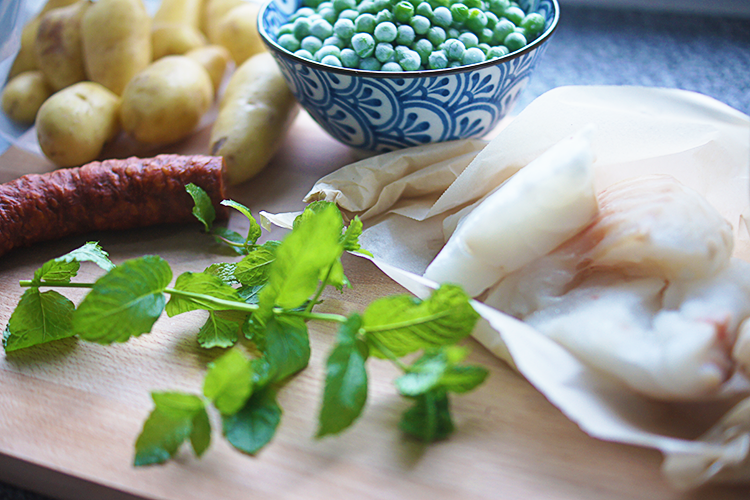 Chorizo Cod & Minted Veg. 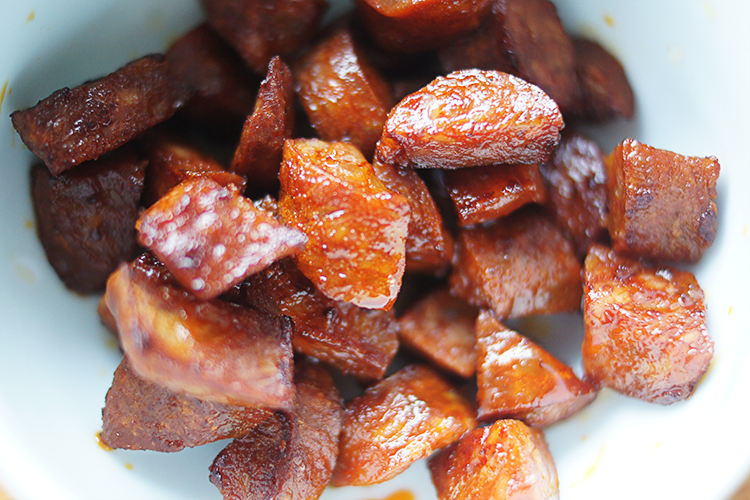 I haven't done a recipe for a while, here on BTB, but as this is something I've been cooking up quite a few times recently, I thought it was about time to share. This recipe has that magical 'when-the-stars-align' quality. It's the epitome of simplicity - such simple ingredients, it's tasty, it's healthy and it looks like you've made just enough effort in a 'Oh, I just whipped this up' kind of way. 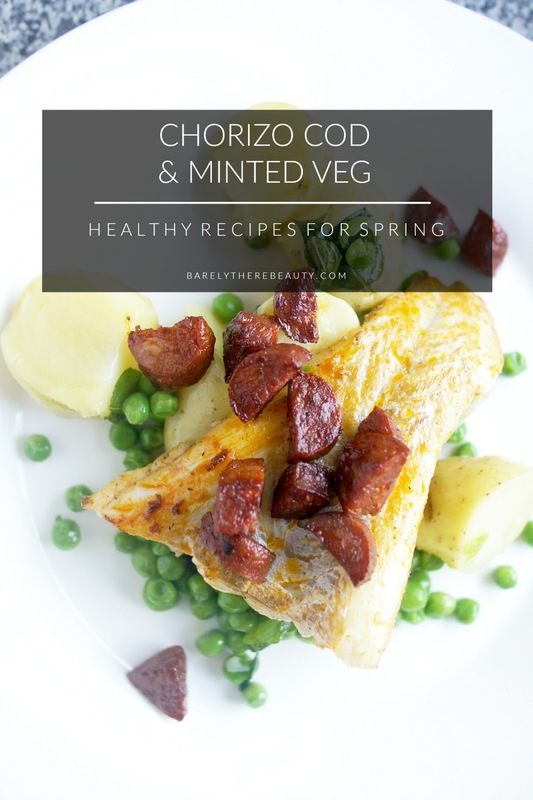 Flaky, white cod, paprika spiked chorizo and mint infused veggies, it's one of my favourite recipes at the moment. And feel free to omit the potatoes in favour of more veg if you're doing low carb. 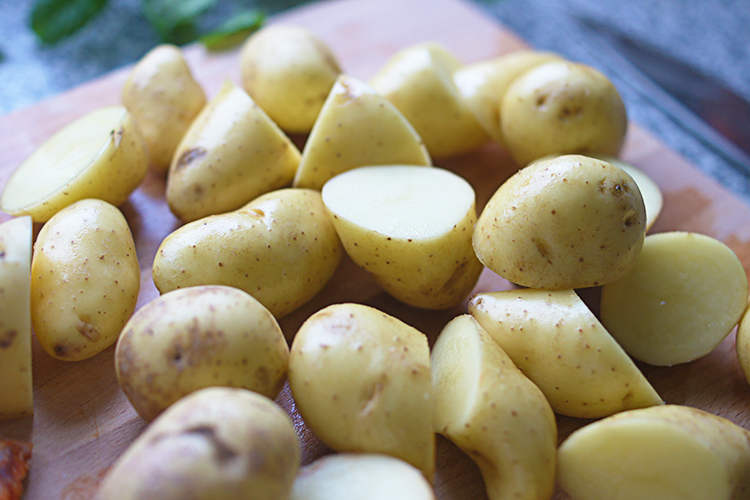 Get some water on the boil and chop up any large potatoes so everything is the same size. Cook until they're barely yielding to a knife. 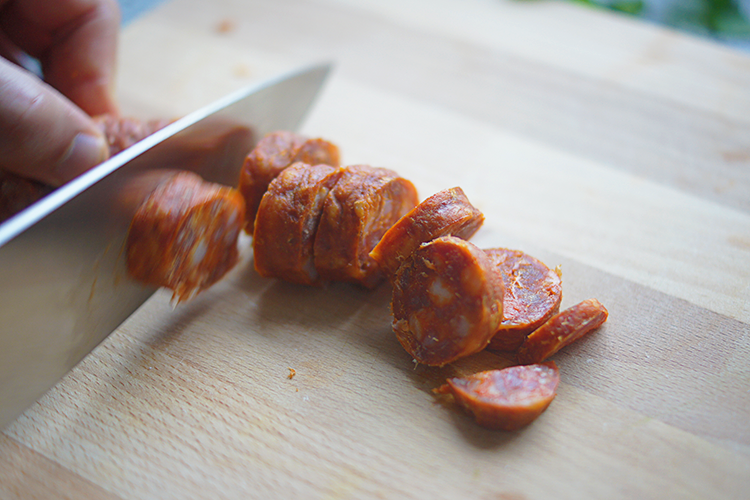 In the meantime, chop up your chorizo into little half moons and fry without any extra oil for a few minutes until they're sizzling and golden. 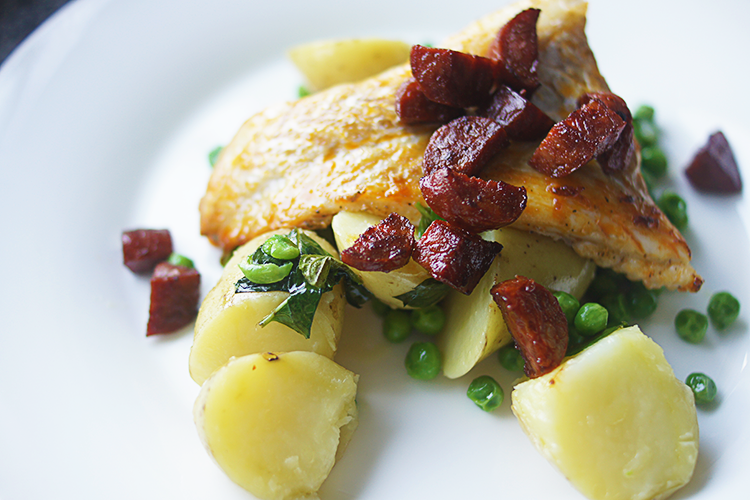 Take out your chorizo and lay in your fish, the paprika-y oils will give it extra flavour. 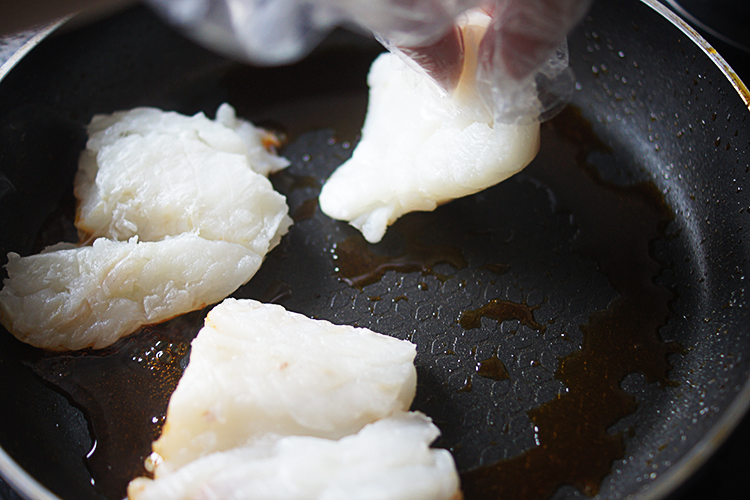 Cook for a couple of minutes each side until the fish flakes into moist, white slabs (you can see it flaking up). 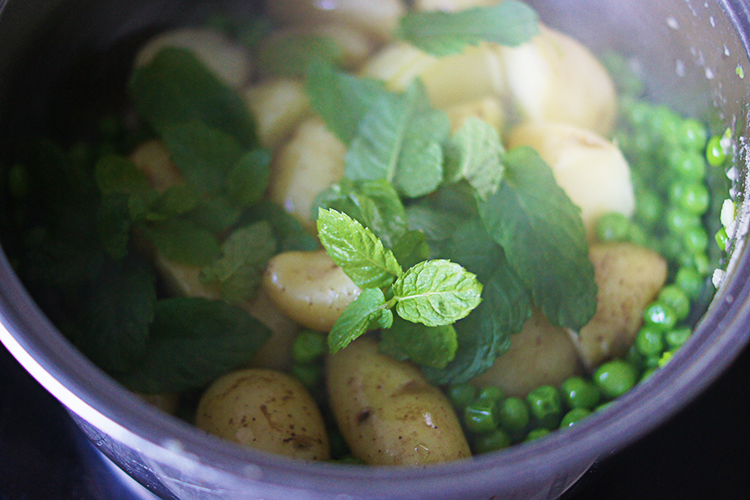 Pop your peas in with the potatoes for the last 3 minutes of cooking, then strain, season, add a good drizzle of olive oil and your lemon zest and mint leaves. Plate up! A tumble of dressed veg, the fish on top, sprinkle on your chorizo and any juices from the pan. Cosy up with some candles, a glass of something cold and tuck in. P.S Have you seen my favourite Rose Gold Eyeshadows? Yumm this looks so delicious.. and simple too! My kind of meal! It looks yummy! 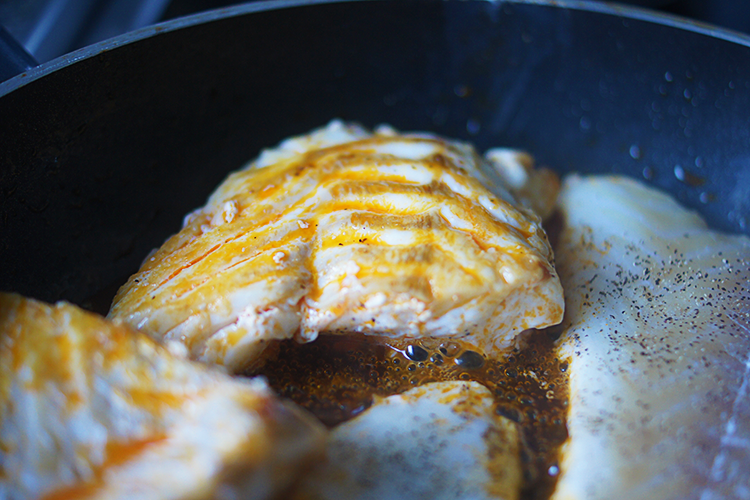 Cod is one of my favourite fish, so I will give this recipe a try! I love recipe posts so I hope that you will do more here. 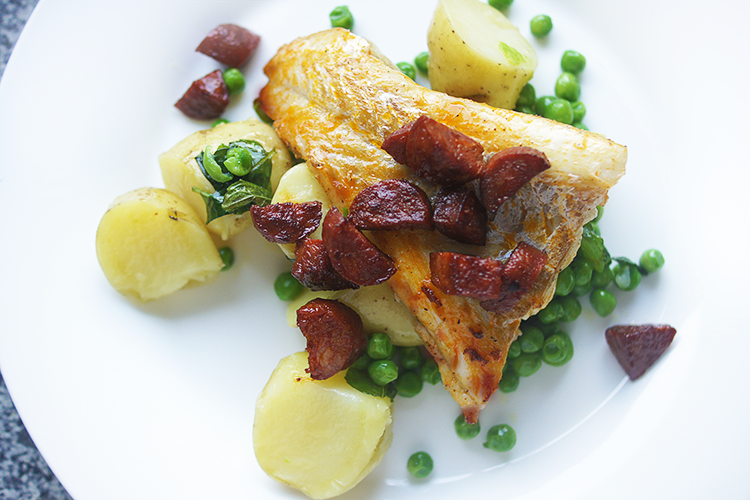 This sounds absolutely amazing and I can't believe how simple it is Cooking the fish with the oil from chorizo is smart, I can imagine how tasty it is. I've recently started feeling ashamed because I am 20 and I know a maximum of 20 recipes so I've been on the lookout of fun stuff to try and cook or bake. This seems like the perfect thing! Will let you know if it ends up a total fail!